In her long and rich musical career Kaliopi set high standard and left a lasting stamp in the Macedonian and Balkan music, becoming a favorite music artist among the people. Kaliopi began her career at very young age, and participations on great festivals, as well as awards are quickly coming. A true star of the show programs, she held a large number of concerts, released many albums and hits that have become evergreen in the Balkan region for last 30 years. In addition to the specific voice timbre, supreme power of interpretation and as an author of numerous hits and music for film, ballet and theater, Kaliopi stands out with her humanitarian activities, for what she is recipient of many recognitions. Kaliopi Bukle (born December 28, 1966 in Kicevo) showed interest in music at a young age performing at children festivals and touring with choir. As her first success Kaliopi was ranked third in the 1984 Yugoslavian solo singing contest, despite her being the youngest classical music singer at the festival. The band "Kaliopi" released its debut album in 1986 and took part in Split Festival, being awarded the prize for the best debut performer. The second album of the band "Rodjeni" was issued two years later, and was followed by tour in Yugoslavia and throughout all the major cities of the Soviet Union. In the time of her biggest popularity, Kaliopi and her former husband, along with the founder of the band, Romeo Gril, moved to Switzerland, which eventually led to the band breaking up. Kaliopi released her first solo album on December 1999, titled "Oboi Me". In 2001 second album "Ako denot mi e nok" followed. At the end of December 2003, Kaliopi officially released her new and third solo album "Ne Mi Go Zemaj Vremeto" with songs in Macedonian and the Serbian, Croatian, and Bosnian language. With her new album released, Kaliopi released her first single in the Ex-Yugoslavian market, titled "Smeh". In 2005 Kaliopi gave two concerts in Sweden and also performed in Dubrovnik, Croatia. In September, Kaliopi released an album called "Me, Isadora", which contained musical pieces that Kaliopi composed herself based on the impression of the love story from the Russian poet Sergei Yesenin and American ballerina Isadora Duncan. In 2006, Kaliopi celebrated her 30 year anniversary as an artist, which took place in the form of a huge concert given in Skopje at the Universal Hall. Kaliopi sang some of her greatest hits and had guests such as Esma Redzepova and Edin Karamazov join her on stage. In 2006-2007 Kaliopi competes in a series of international contests - Pjesma Mediterana, in Budva, as a performer of the song "Reci mi" and as the author of the song "Dajem ti sve" performed by Tamara Todevska; "Splitski Festival" performing the song "Za tebe cuvam sebe"; Albanian Kenga Magjike, as a composer of "Jemi Te Huaj" performed by Ledina Сelo reached an honourable second place. In November 2008, Kaliopi once again returned to the Kenga Magjike song contest in Albania, as composer of the song "Njeri Nga Ata", performed by Jonida Maliqi. 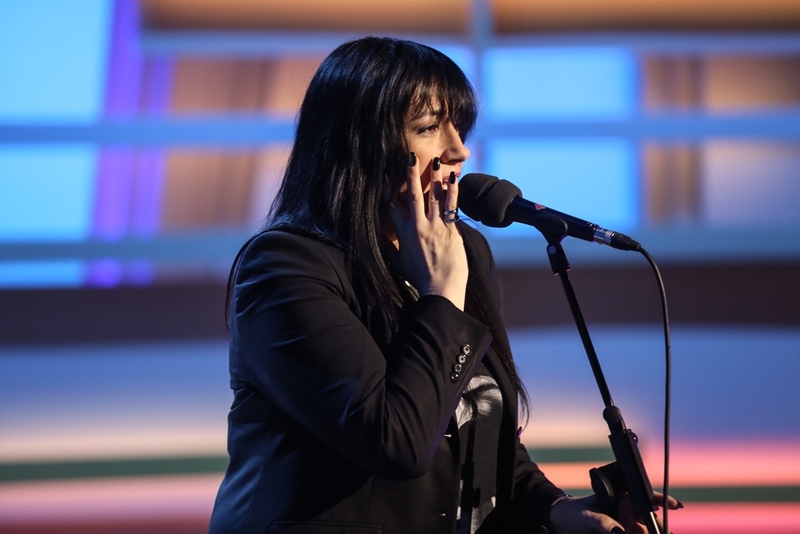 This time, however, she emerged as a victor, and her song took the first place, making Kaliopi the first ever foreign composer to win an Albanian song contest in history. In 2008, Kaliopi released the Serbo-Croatian language album "Želim ti reći". In June, Kaliopi took part in festival Pjesma Mediterana in Budva with "Reci mi" and as composer of another entry "Dajem ti sve", performed by Tamara Todevska. In July, Kaliopi took part at the Split Festival with "Za tebe čuvam sebe". In 2009 she continued festival appearances, competing in Croatian Radio Festival, and claiming victories at Pjesma Mediterana and Suncane Skale. In November 2009, Kaliopi released the album "Oblivion" with 11 world hits performed in 9 languages, recorded as collaboration with lute artist Edin Karamazov. Following the release Kaliopi gave performances across former Yugoslavia. In December 2010, Kaliopi released her fifth solo album "Poraka", with songs written by Darko Juranović "D'Knock", Tihomir Preradović, Miroslav Rus and Rambo Amadeus. 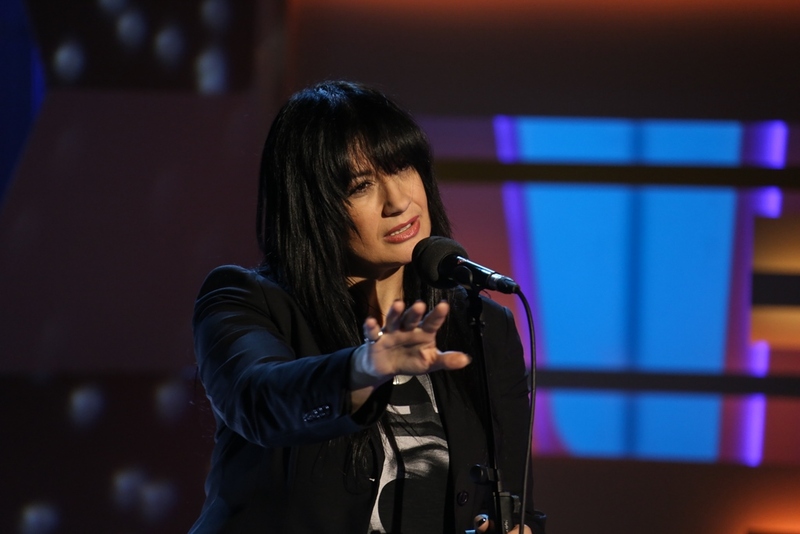 In 2011, Kaliopi was judge at the first edition of Macedonian Idol. Post-Eurovision in February 2013 she has released album "Melem", which was another collaboration with Romeo Grill. Kaliopi's Eurovision journey has started in 1996 with victory at SkopjeFest, the country's selection contest for the Eurovision Song Contest 1996, with the song "Samo Ti". She was thus set to be the first singer to represent Macedonia at Eurovision since its independence from Yugoslavia, however, her entry did not receive enough points in the pre-qualifying round to reach the final. 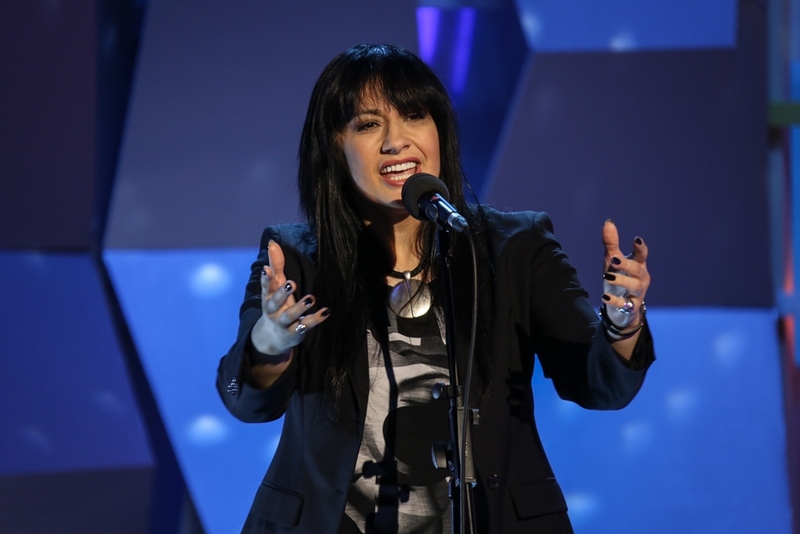 Kaliopi submitted song "Za samo eden den" to Macedonian Television for the Eurovision Song Contest 2002 selection. It was performed by Gorgi Krstevski with Kaliopi herself on backing vocals, finishing 5th. In 2005, Kaliopi was selected along with five other artists for her country's Eurovision Song Contest 2005 selection process. However, Kaliopi opted out of the selection, but supplied another finalist Aleksandra Pileva with one of four songs she performed - "Ne". Overall, the song came in 3rd. In 2006 Kaliopi took part in Eurovision preselection as performer with self-written song "Silna" finishing 6th, and also wrote song for Eva Nedinkovska "Taan i med." In 2009 Kaliopi participated in the Macedonian Eurovision selection "Skopje Fest 2009" with song "Rum Dum Dum", written by Kire Kostov and performed in a duet with Macedonian folk singer Naum Petreski. The duet managed to win the second semi-final of the competition and ended up overall in 2nd place. Kaliopi also was the composer of the song "Severno od mene, juzno od tebe" for Verce Pandilovska. 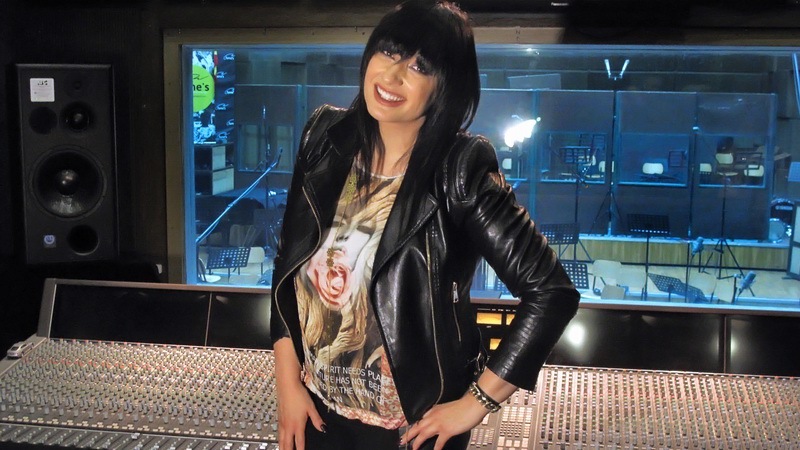 Finally, on 19th November 2011, MKTV has announced that Kaliopi was internally selected as Macedonian representative for Eurovision 2012 with the song "Crno i Belo" written by Romeo Grill. With her powerful stage performance, after a four-year pause, Kaliopi brought Macedonia again into the finals and ensured the best placement of her country at this famous and respected music festival. "Crno i belo" became a huge hit and one of the most performed songs at all talent shows in the region, but it also has many cover versions from all around the world. On 24 November during the national news MKRTV announced this year representative for Eurovision Song Contest 2016. 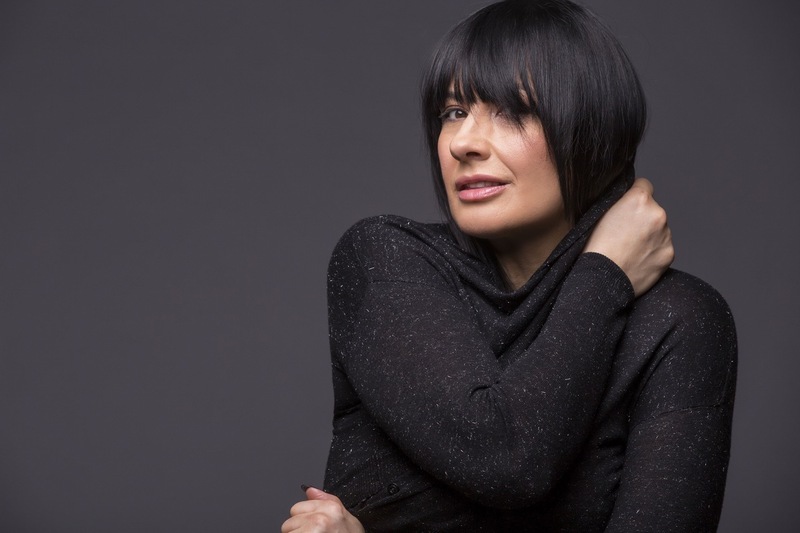 At Eurovision 2016 in Stockholm Kaliopi will represent Macedonia with a song created in tandem with the author and producer Romeo Grill, who is the author of "Crno i belo" and of her greatest hits in the career. The Macedonian song for ESC 2016 will be presented in the show program of MRT at the end of February. "We are confident that the cooperation of MRT with the well-known pop diva Kaliopi and composer Romeo Grill will result in a modern, attractive Eurovision product in the affirmative national character", says the Macedonian public service. During the interview in "Stisni Play" on 27 November Kaliopi has confirmed that her entry will be sung in Macedonian language. "I'm really exited because I will represent Macedonia in Stockholm, the center of world music. I'm convinced that this will be my life performance and I will turn this 3 minutes on stage into eternity and will make every Macedonian feel proud"
Kaliopi has presented her Eurovision entry "Dona" on 7th March at 20:15 CET in a special show which was broadcast on the MKRTV First Channel. The song is collaboration between long term musical partners Kaliopi and Romeo Grill. Romeo has written the music and set the arrangement for "Dona", as well as the musical production of the song, and Kaliopi has written the lyrics. "My decision to come back on stage of the Eurovision Song Contest, was made after many requests from Eurovision fans", says Kaliopi. She is hopeful for the good result, as "2016 is a leap year as 2012 was, when I performed in the Eurovision Song Contest with Crno i belo!". "When I heard the powerful melody that Romeo Grill had composed, I was swept away and knew that I had to write lyrics to breathe even more life into our song. When we recorded Dona we knew we had a special song. And great songs like this are usually used to bring important messages to everyone. Dona is the essence of the song. Dona that cares for us, Dona that gives us strength, and Dona that unites us. And what's most important for each one of us is that at some place at a certain time in our lives there was and always will be one Dona! My heart and voice through my song wants millions of diverse people across Europe to #ComeTogether"
Kaliopi was guest of the BNT Bulgaria morning program Denyat Zapochva. Kaliopi, who has visited Slovenia with the promotional tour, has a chat with RTV SLO website. "It were fans and Eurovision journalists who persuaded me to return to the contest. They were the most persistent, because they were constantly sending messages to the Macedonian national broadcaster asking of my return to the Eurovision. During this time I continued my career: I recorded an album, organized a large concert tour, recorded three singles. In the meantime, I certainly was monitoring the Eurovision and saw that Macedonia was in the three years of drought - we were failing to qualify for the finals. I have amazing memories of Baku. People who live Eurovision euphoria are the best in the world. Should they lead the world, there would be no wars and no harm would have happened. When in November I was approached by the Macedonian broadcaster and asked to represent Macedonia at the Eurovision Song Contest, I called Romeo Grill, my former husband, and asked him whether he has a suitable song for the Eurovision. He asked me: "But again?" I replied to him that only one more time. Because of our love for Macedonia we said we will try again to get Macedonia into the finals. When he first played me the music for Dona, I know that now I have a reason to go again to the Eurovision. And when I monitored the satisfaction of all the Eurovision fans of my comeback, this is for me an added incentive. I think this time will be a lot of fun. Romeo insisted that I should write the lyrics myself, and this was the first time when I did not resist and asked why I have to write it. This was the best way to tell people some things that I wanted. Text was created in an instant. The lyrics contains deep and heartfelt message. When the process was finished, I know that we have the right song, so I was just waiting to finish the song in the studio. We were helped by the musicians with whom I have worked before. But only when Romeo returned to Basel, where he was doing mastering, I could say with relief: "We are ready". Yes, I will be singing in Macedonian, despite most of the entrants will be doing it in English. I'm always out of fashion (laughter). I never have been following the guidelines in music. I could have been able to sing in Croatian, Serbian or Slovenian, because I had a lot of experience with these languages, but in the English I'm still unable to express everything that I want and can in Macedonian. In the Eurovision I was always interested in countries singing in their own languages. Crno i belo became a huge hit around the world and everyone listened to the Macedonian version, although the song was also recorded in Russian and English. And there are always positive comments, whenever someone performs in their own language. Through Eurovision I was able to increase the number of my fans around the world. And between themselves they are closely linked, which gives me great hope that everything I do, is not in vain. I hope that through my music I can lead young people to have healthy, normal life"
Kaliopi's message to ManuElla was: "Enjoy each and every day that you will spend in Stockholm, because it will be really fun. This I can testify firsthand, because I have experience with Eurovision. And know that Stockholm is a fantastic city with wonderful people". Watch Kaliopi performance in Vikend Paket program on RTVSLO. 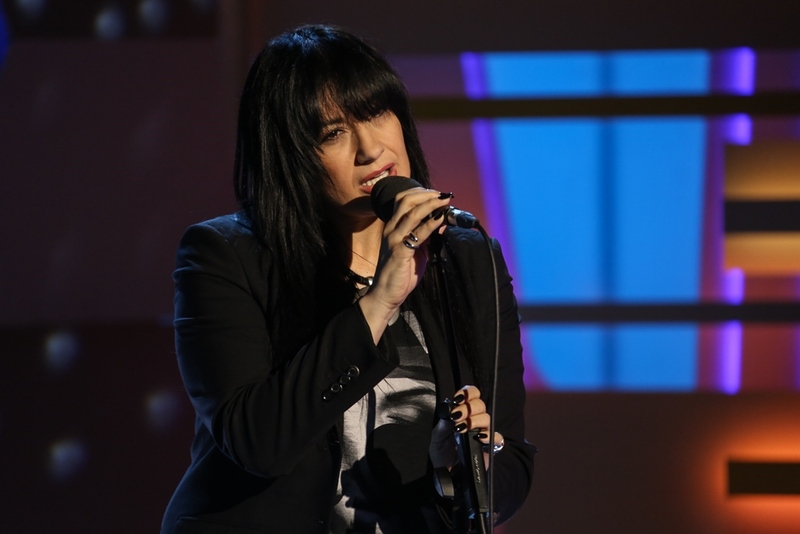 With only seven weeks to go before the Eurovision Song Contest 2016 final in Stockholm, this year's Macedonian entry, Kaliopi will be busy touring Europe to promote her song 'Dona'. The Macedonian superstar will spend this time reconnecting with Eurovision fans in Serbia, Bosnia and Herzegovina, Croatia, Slovenia, Moscow, Amsterdam and London. The promo tour will be the perfect opportunity for Kaliopi to get reacquainted with European music journalists and fans after her 2012 Eurovision performance of 'Crno I Belo'. Regarding her upcoming trip to Moscow, Kaliopi said she was very much looking forward to performing 'Dona' live for the very first time at the Eurovision gala party in Russian capital. She said: "I am enormously happy to come to Moscow again, after many, many years. This time I will probably meet different Moscow from the one I remember, but to be embraced by the spirit of Moscow is a true privilege. And that’s why I am happy as a little child when it comes to my arrival to Moscow!". In Amsterdam she will participate in this year's biggest Eurovision preview show Eurovision in concert alongside at least 24 participating countries. Fans from all around Europe will come to see a very special performance of Dona, a song specially written and produced for Eurovision by her long term collaborator Romeo Grill. Kaliopi's trip to the UK will be extra special as she will be the only perform at the London Eurovision Song Contest to be sponsored by the official UK fan club. Speaking of this, the UK fan club president Alasdair Rendall said: "As one of the biggest Eurovision fan clubs in the world it’s only appropriate that OGAE UK brings to London one of the biggest stars of this year’s contest. We know that Kaliopi will take the British Eurovision fans to her heart and we look forward to seeing a world-class performance from her at the Cafe de Paris!". Within the promo tour in the second half of April, Kaliopi has plans to visit Tirana and Sofia. In meantime Kaliopi and her team are working on stage performance, preparation of promotional material and the overall agenda for the visit of the Macedonian Eurovision delegation in Stockholm. This year, winner of "Skopje Fest" will not compete in Eurovision Song Contest. Macedonian Radio and Television MRT has decided that this year they will remain two separate projects, informed head of delegation of Macedonia, editor of cultural and artistic programs of MRT Meri Popova on September 10. Eventually, "Skopje Fest 2015" took place on 12 November and was won by the band Eye Cue with song "Ubava". "Eurovision Contest and Skopje Festival are two completely different projects - in terms of implementation and above all in the relation to the song. Personally I find it very difficult to make a good song in just 3 minutes, as required by the rules of Eurovision Song Contest, and not every author can do that. The Festival still has the freedom for original expression duration of the composition up to 4 minutes, but performers also will be accompanied by Revijski Orkestar, which does not mean that it is easier task! On the contrary! So really there is no reason why these two projects should be under the same cap"
Здраво Евросонг, еве ме повторно! Се гледаме во Стокхолм 2016! Zdravo Eurosong, evo me ponovo! Vidimo se u Stokholmu 2016! Hello Eurovision Song Contest, I am back! See you in Stockholm 2016! За свою длинную и богатую музыкальную карьеру Калиопи смогла установить высокий стандарт и оставить собственное неизгладимое клеймо на македонской и балканской музыке, став любимой певицей для очень многих людей. Калиопи начала свою карьеру в очень молодом возрасте, за этим последовали участия на больших фестивалях, а также многочисленные награды. Истинная звезда шоу-программ, она провела большое количество концертов, выпустила множество альбомов и хитов, которые стали популярными в Балканском регионе за последние 30 лет. В дополнение к ее особенному тембру голоса, мощным выступлениям, авторству многочисленных хитов и песен для кинофильмов, балета и театра, Калиопи также выделяется своей гуманитарной деятельности, за что она является получателем многих признаний. Калиопи Букле (родилась 28го декабря 1966 года) продемонстрировала свой интерес к музыке с раннего возраста, выступая на детских фестивалях и гастролируя с хором. Первым ее успехом стало 3е место на югославском песенном фестивале в 1984 году, несмотря на то, что она была самой молодой классической певицей на конкурсе. Группа "Kaliopi" выпустила свой дебютный альбом в 1986 году и приняла участие в фестивале в Сплите, получив приз лучшему дебютанту. Второй альбом группы "Rodjeni" вышел два года спустя, а за ним последовал тур по Югославии и крупнейшим городам Советского Союза. На пике популярности, Калиопи, вместе с основателем группы и ее бывшим супругом Ромео Гриллем, перебрались в Швейцарию, что в итоге привело к распаду коллектива. В декабре 1999 года Калиопи выпустила свой первый сольный альбом "Oboi Me". В 2001 году последовал второй альбом "Ako denot mi e nok". В конце 2003 года Калиопи официально выпустила свой третий сольник "Ne Me Go Zemaj Vremeto" с песнями на македонском, сербском, хорватском и боснийском языках. С выпуском нового альбома, вышел и первый сингл на общем бывше-югославском рынке, под названием "Smeh". В 2005 году Калиопи дает два концерта в Швеции и также выступает в Дубровнике, Хорватия. В сентябре она выпускает альбом "Me, Isadora", который содержит песни, написанные самой Калиопи, под впечатлением от истории любви русского поэта Сергея Есенина и американской балерины Иседоры Дункан. В 2006 году Калиопи отмечает 30-летие своей творческой карьеры огромным концертом в Universal Hall в Skopje. Она исполняет свои лучшие хиты, и на сцене к ней присоединяются Эсма Реджепова, Эдин Карамазов и другие гости. В 2006-2007 годах Калиопи принимает участие в ряде международных конкурсов - Pjesma Mediterana в Будве, как исполнитель "Reci mi" и автор "Dajem ti sve" в исполнении Тамары Тодевски; Сплитском фестивале с песней "Za tebe cuvam sebe"; албанской Kenga Magjike, как композитор "Jemi Te Huaj", в исполнении Ледины Чело, которая стала второй. В ноябре 2008 года Калиопи снова участвует в албанском конкурсе, как автор "Njeri Nga Ata", которую исполнила Йонида Малики, и на этот раз становится победителем, первым в истории зарубежным автором, одержавшим победу на этом албанском конкурсе песни. В 2008 году Калиопи выпускает альбом на сербскохорватском языке "Želim ti reći". В июне, она принимает участие в фестивале Pjesma Mediterana в Будве с "Reci mi" и в качестве композитора еще одной песни "Dajem ti sve", которую исполнила Тамара Тодевска. В июле Калиопи выступает на Split Festival с "Za tebe čuvam sebe". В 2009 году она продолжила фестивальные выступления, приняв участие в Croatian Radio Festival, и одержав победы на Pjesma Mediterana и Suncane Skale. В ноябре 2009 года Калиопи выпускает альбом "Oblivion" с 11 мировыми хитами, прозвучавшими на 9 языках, записанным в сотрудничестве с лютнистом Эдином Карамазовым. После выпуска альбома певица дала серию выступлений по бывшей Югославии. В декабре 2010 года Калиопи выпускает свой пятый сольный альбом "Poraka", на который вошли песни, написанные Дарко Юрановичем "D'Knock", Тихомиром Прерадовичем, Мирославом Русом и Рамбо Амадеусом. В 2011 году Калиопи была одним из судей на первом выпуске шоу Macedonian Idol. После Евровидения, в феврале 2013 она выпустила альбом "Melem", записанные в сотрудничестве с композитором Ромео Гриллем. История участия Калиопи в проектах Евровидения начинается в 1996 году, когда она одерживает победу на SkopjeFest, национальном отборе страны на конкурс Евровидение 1996 c песней "Samo Ti". Таким образом, она должна была бы стать первой представительницей независимой Македонии на Евровидении - однако ее песне не удалось собрать достаточно баллов в предварительном радио отборочном раунде и выйти в финальную часть. Калиопи подает песню "Za samo eden den" на македонский отбор на Евровидение 2002. Ее исполняет Горги Крстевски, у которого сама Калиопи поет на бэк-вокале, они занимают 5е место. В 2005 году Калиопи приглашена в число 5 конкурсантов отбора страны на Евровидение 2005. Однако, она решает не принимать участие в отборе, хотя и предоставила другой финалистке, Александре Пилевой, одну из 4х исполненных ею песен "Ne". В общем зачете она стала 3й. В 2006 году Калиопи сама принимает участие в отборе на Евровидение с песней собственного авторства "Silna", заняв 6е место, а также пишет песню Евы Нединковски "Taan i med". В 2009 году Калиопи снова выступает на македонском национальном отборе на Евровидение 2009 "Skopje Fest" c песней "Rum Dum Dum", написанной Кире Костовым, и исполненной в дуэте с фолк певцом Наумом Петрески. Дуэт побеждает на втором полуфинале конкурса и занимает 2е место в финале. Калиопи также была автором песни "Severno od mene, juzno od tebe" Верче Пандиловски. И, наконец, 19го ноября 2011 года, MKTV объявляет о том, что Калиопи была выбрана внутренним отбором представительницей Македонии на Евровидении 2012 с песней "Crno i belo" Ромео Грилла. C мощной сценической презентации, после четырехлетнего перерыва, Калиопи смогла снова вернуть Македонию в финалы Евровидения, и обеспечила наилучшее место своей страны на этом известном и уважаемом фестивале. "Crno i belo" стала огромным хитом, и является одной из самых исполняемых на шоу талантов региона песен, а также получила огромное количество кавер-версий со всего мира. 24 ноября во время эфира национальных новостей телеканал MKRTV объявил своего представителя на Евровидении 2016. В Стокгольме Калиопи снова представит Македонию с песней, созданной в тандеме с замечательным автором и продюсером Ромео Гриллем, автором "Crno i belo" и множества хитов из карьеры Калиопи. Конкурсная песня будет представлена публике в конце февраля. "Мы уверены в том, что сотрудничество МРТ с известной поп-дивой Калиопи и композитором Ромео Гриллем выльется в современный, привлекательный "евровизионный" продукт, с ярковыраженным национальным колоритом", говорит национальный вещатель. В интервью программе "Stisni Play" 27 ноября Калиопи подтвердила, что ее песня будет исполняться на македонском языке. "Я невероятно горжусь тем, что я представлю Македонию в Стокгольме, центре мировой музыки. Я убеждена, что это будет главнейшим выступлением всей моей жизни, и я хочу превратить эти три минуты на сцене в вечности, и сделать так, чтобы все жители Македонии гордились мной"
17го февраля Калиопи объявила о том, что презентация ее конкурсной песни "Dona" пройдет 7го марта в 21:15 Москвы в специальном шоу, которое выйдет в эфир македонского телевидения. Музыку к песне написал постоянный автор певицы и ее бывший муж Ромео Грилль, а текст - сама исполнительница. "Мое решение вернуться на сцену Евровидения было сделано после многочисленных просьб со стороны фанатов этого конкурса!, говорит Калиопи. Она надеется на хороший результат, потому что "2016 - високосный год, как был и 2012, когда я принимала участие в конкурсе Евровидение с Crno i belo!". "Когда я услышала мощную мелодию, которую написал Ромео, я была сразу же сражена ею, и поняла, что должна написать текст, чтобы вдохнуть в песню еще одну жизнь. Когда мы записывали Dona, мы понимали, что наша песня - особенная. А великие песни, как эта всегда используются для передачи всем слушателям важного посыла. Дона - это суть всей песни. Дона заботится о нас, Дона придает нам силу, Дона объединяет нас. И, что важно у каждого из нас в какой-то момент времени в нашей жизни была, есть и будет своя единственная Дона! Мое сердце и мой голос посредством этой песни хотят, чтобы миллионы различных людей по всей Европе последовали слогану конкурса #ComeTogether"
Калиопи стала гостьей утренней программы болгарского телеканала БНТ Денят Започва. Калиопи, которая посетила Словению с промотуром, дала интервью вебсайту телеканала RTVSLO. "Фанаты и журналисты Евровидения убедили меня вернуться на конкурс. Они были очень настойчивыми, постоянно слали письма на Македонское телевидение, прося о моем возвращении на Евровидении. Тем временем, я продолжала свою карьеру: записала альбом, организовала большой концертный тур, выпустила три сингла. Тем временем, я, конечно же, следила за Евровидением, и видела то, что у Македонии наступила трехгодичная черная полоса - мы не могли выйти в финал. У меня оставались потрясающие воспоминания о Баку. Люди, которые живут Евровидением - это самые лучшие люди в мире. Если бы они руководили миром, то в нем бы не было войн и никто никому бы не причинял вреда. Когда в ноябре ко мне с предложением снова выступить на Евровидении обратились представители национального вещателя, я позвонила Ромео Гриллю, моему бывшему мужу, и спросила его, есть ли у него подходящая песня для Евровидения. Он удивился: "Что, снова?". Я ответила, что только еще один раз. Из-за всей нашей любви к Македонии мы решили, что должны попробовать снова вывести ее в финал. Когда он впервые сыграл мне музыку Dona, я поняла, что у меня появилась главная причина согласиться на участие в конкурсе. И я следила за реакцией и радостью поклонников Евровидения на новость о моем возвращении, для меня это стало приятным бонусом. Думаю, что в этот раз все будет очень здорово. Ромео настоял на том, чтобы я сама написала текст песни, и впервые я не стала с ним спорить и спрашивать, почему это я? Для меня это стало возможностью высказать людям то, что было у меня на уме. Текст лег мгновенно. Он содержит очень глубокий и сердечный посыл. Когда процесс был завершен, я поняла, что у нас есть подходящая песня, и я только ждала завершения процесса ее записи в студии. Нам помогали музыканты, с которыми я работала раньше. Но, только когда Ромео вернулся в Базель, где он работал над мастерингом, я смогла сказать себе с облегчением: "Мы готовы". Да, я буду петь на македонском, несмотря на то, что большинство других участников поют на английском. Я всегда выпадаю из моды (смеется). Я никогда не следую определенным правилам в музыке. Я могла бы спеть на хорватском, сербском или словенском, потому что у меня большой опыт в общении на этих языках, но на английском я не смогу так же выразить свои чувства, как я хочу и смогу на македонском. Меня саму на Евровидении всегда интересовали страны, поющие на собственных языках. Crno i belo стало хитом по всему миру, и все слушали македонскую его версию, хотя песня была записана на русском и английском языках. И всегда от поклонников конкурса звучат положительные комментарии, когда кто-то поет на своем языке. Благодаря Евровидению я смогла расширить свою фан-базу по всему миру. И все мои поклонники тесно связаны между собой, что дает мне большую надежду на то, что все то, что я делаю - не зря. Я надеюсь, что посредством своей музыки я могу помочь молодым людям жить здоровой, нормальной жизнью"
Месседж Калиопи представительнице Словении Мануэлле: "Получай удовольствие от каждого дня, который ты проведешь в Стокгольме, потому что это будет реально классно. Я могу подтвердить это на своем собственном опыте. И я знаю, что Стокгольм - фантастический город с прекрасными людьми". Смотрите выступление Калиопи в программе Vikend Paket, RTVSLO, Словения. В то время, как до финала конкурса Евровидение в Стокгольме остается всего семь недель, представительница Македонии этого года Калиопи отправилась в промо-тур по Европе с продвидением своей конкурсной песни "Dona". Македонская суперзвезда встретится со своими поклонниками в Сербии, Боснии и Герцеговине, Хорватии, Словении, Москве, Амстердаме и Лондоне. Промо-тур должен стать замечательной возможностью для Калиопи вновь встретиться с представителями прессы и поклонниками Евровидения, которые помнят ее по участию в конкурсе 2012 года с "Crno i Belo". Говоря о своей предстоящей поездке в Москву, Калиопи говорит, что она с нетерпением ждет возможности исполнить свою песню "Дона" на гала-концерте звезд Евровидения в столице России. "Я невероятно счастлива возможности снова посетить Москву, после стольких многих лет. Наверное, сейчас я увижу уже совершенно иной город, не тот, что я помню, но дух Москвы наверняка остался неизменным. И потому, я рада предстоящей поездке как ребенок!". В Амстердаме Калиопи выступит на крупнейшей вечеринке Евровидения Eurovision In Concert, где соберутся представители свыше 25 участвующих стран. Поклонники конкурса со всей Европы прибудут в Амстердам, в том числе и для того, чтобы увидеть специальное выступление Калиопи с песней "Dona", написанной специально для Евровидения ее давним соратником Ромео Гриллем. Поездка Калиопи в Великобританию также должна стать особенной, поскольку она выступит на вечеринке Евровидения, которую поддерживает официальный фан-клуб Евровидения в Великобритании. По этому случаю, президент фан-клуба Алистер Рендалл заявил: "Для одного из крупнейших фан-клубов в мире, является абсолютно естественным пригласить в Лондон одну из крупнейших звезд предстоящего конкурса. Мы знаем, что Калиопи всем сердцем любит своих британских поклонников, и ждем от нее выступления мирового класса!". В рамках промо-тура во второй половине апреля, Калиопи планирует посетить Тирану и Софию. Тем временем, она и ее команда продолжают работать над сценической постановкой номера, готовить промоционный материал, и решать другие вопросы, связанные с поездкой делегации Македонии в Стокгольм. В этом году, победитель македонского фестиваля "Skopje Fest" не отправится на Евровидение. Македонское Радио и Телевидение MRT решило отделить эти два проекта, сообщила глава делегации Македонии, редактор отдела художественных программ и культуры MRT Мери Попова 10го сентября. В итоге, "Skopje Fest 2015" прошел 12го ноября, и победителем на нем стала группа Eye Cue с песней "Ubava". "Конкурс Евровидение и Skopje Festival - совершенно разные проекты, как в воплощении, так, прежде всего и, по отношению к песням. Лично мне кажется очень сложным втиснуть хорошую песню всего в три минуты, как это требуют правила Евровидения, и это под силу не каждому автору. Фестиваль позволяет большую свободу для самовыражения, разрешая участие песням длиной до 4х минут, но при этом его конкурсанты выступают в сопровождении оркестра Revijski Orkestar, что не делает их задачу проще! Наоборот! Поэтому, нет никаких причин совмещать эти два проекта воедино"